Grass grows fastest when your planting season aligns with the seeds’ natural growth period. Like other kinds of plants in your landscape, grass seeds are varied in their growth cycles and regional climate preferences. So knowing when to plant grass seed starts with your location and grass type. Cooler seasonal grasses like bluegrass, perennial rye-grasses and tall fescues, grow most vigorously during the cool temperatures of late summer and early fall. These grasses flourish in cooler northern climates and into the challenging “transition zone,” where cool and warm regions overlap. Warmer season grasses, such as Bermuda grass, Bahia grass, Centipede grass and Zoysia grass, will see peak in growth during the warmer temperatures of late spring and early summer. These grasses thrive in southern and western regions and up into the transition zone’s southern reaches. Whether you grow cool or warm season grasses, take advantage of your grass type’s natural periods of peak growth to help seeds germinate and establish quickly. Seeds are at optimum temperatures to start for growing success. In early autumn, the soil is still warm from months of summer sun. This combination of warm soil, moderate day temperatures and cool evenings encourages fast germination and establishment of newly sown cool-season grass seed. The farther north you live, the earlier cool fall temperatures and ideal planting time come. 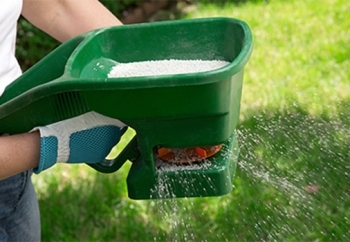 As a general rule, plant cool-season grass seed at least 45 days before the estimated date of your first fall frost. 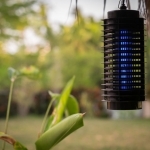 Plant seed before soil and air temperatures drop to less favorable levels. Your grasses will enjoy a full fall season – Planted seed needs consistent soil moisture, and fall planting is ideal for that. Fall typically brings more rain, to which reduces the chance that seeds may dry out. 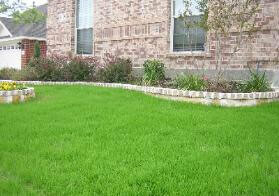 Using drought-tolerant, water-conserving grass seed products lowers the risk of problems even more. A second growing season come spring. 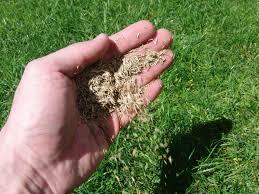 – Spring is the second best time to seed cool season lawn grasses. Once soil and air temperatures warm back up to their ideal range. 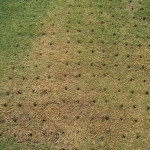 Grasses have time to settle in and begin germination and cool-season grass growth begins to slow. 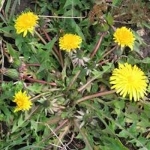 Be aware that late-melting snows and early spring rains can keep soil cold and wet, giving early weeds an advantage. Planting in late spring and early summer gives warm-season grasses the advantage of warm soil and early seasonal rains, which help keep soil moisture available during germination and establishment. Warmer seasonal grasses ideally germinate when soil temperatures are consistently in the 65 F to 70 F range. Wait until all danger of frost has passed: Cold, wet soil is a recipe for poor germination, rotting seed and disease. As a general rule, warm-season grasses planted at least 90 days before the first fall frost have time to establish well before winter. These summer-loving grasses go dormant once temperatures drop near 55 degrees, so late-planted seedlings can’t prepare for what’s ahead. Proper Timing. warm-season grass seed gets a natural boost from summer’s warmth and a full season of active growth and development before cooling temperatures bring on winter dormancy. There is one exception to planting grass seed for warm seasonal lawns. When over-seeding with a cool-season grass, such as perennial ryegrass, for temporary winter color. Do this in fall once temperatures drop and warm-season lawns begin to go dormant and lose color. Proper timing allows all types of grass seedlings to root well and get established before natural stresses hit. 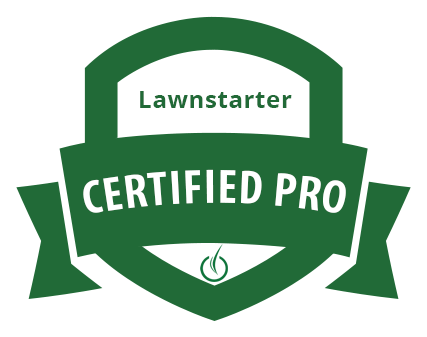 What that looks like in your lawn can vary depending on your grass type you are growing regional and the conditions in any given year. You can generally expect grass seedlings to emerge within seven to 21 days when grown under proper conditions. 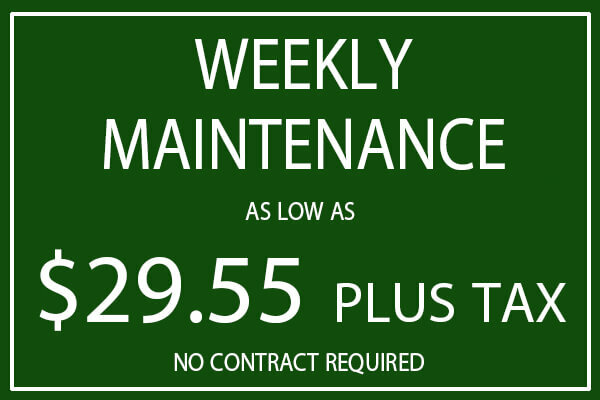 It could take another three to four weeks of growth before grass is long enough to mow. For fall-planted seed, this can mean waiting until spring for your first mowing. 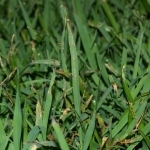 Some grasses, such as Zoysia grass, may need several months of growth to fully establish. 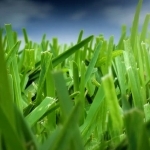 Initial growth of new grass seedlings happens underground, thus new roots get grass firmly established. 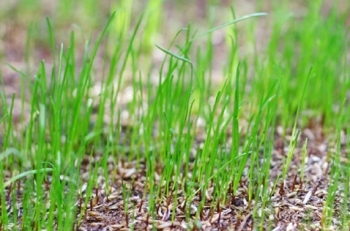 With proper timing, new grass seedlings compete well for light, water and nutrients and fight off lawn diseases and pests, in addition to fighting off invading weeds. JC’s Landscaping has the know how and provides quality service for lawn maintenance and landscaping service. 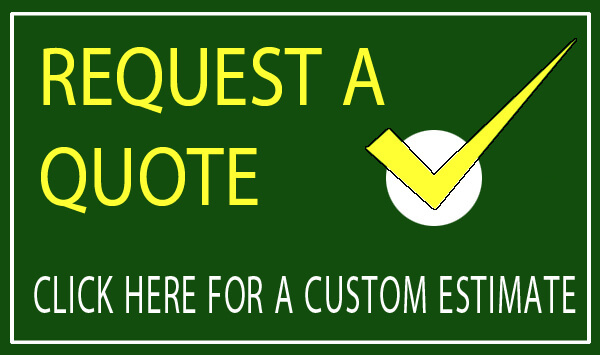 Contact us for a custom estimate today! My lawn has a few naked spots, so I’ve been wanting to plant some grass seed. I like how you mentioned that warm season grasses grow better in the warmth, so they need to be planted after one is sure the frost won’t return. Thanks so much for all the great grass planting tips! These could really help me spruce up my yard.